In der Mitte der Beara (Béarra) Halbinsel ragen die 685 Meter hohen Caha Berge auf. Die einzige Straße über diese Berge bringt uns zum Healy Pass, der einen unvergesslichen Ausblick auf Glanmore Lake bietet. 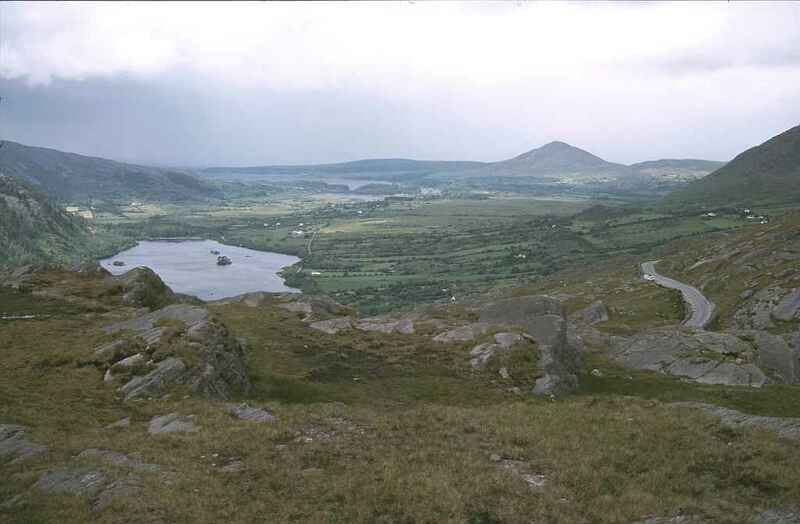 In the centre of the Beara (Béarra) peninsula the Caha Mountains rise 685 metres above the sea. Die only road across these mountains takes us to the Healy pass, which offers an unforgettable view of Glanmore Lake.